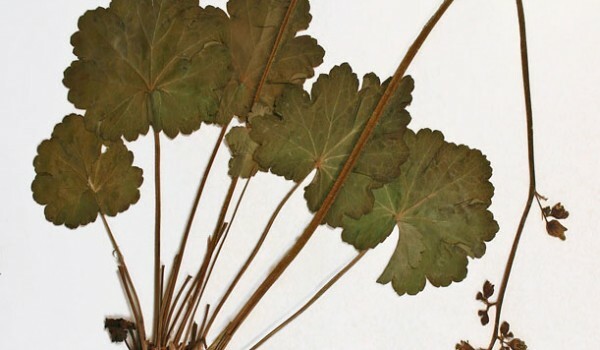 The basal leaves of this perennial resemble those of a maple tree. 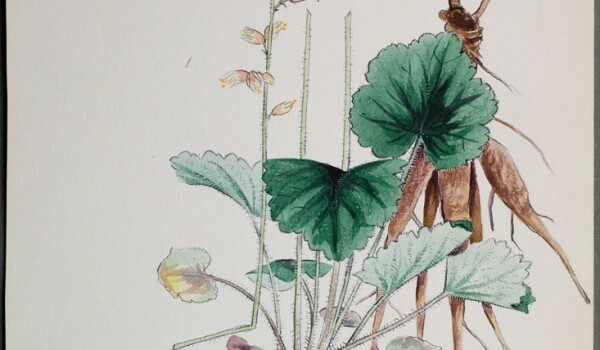 They create an attractive ground cover, making Alumroot a good choice for gardens. They prefer to grow with little competition from other plants. The flowers have no scent, and can be purple, white/cream, or green. They are pollinated by hummingbirds and bees, and also attract butterflies. The plants have been used for medicinal purposes and as a mordant to fix dye. Not rare. Listed as “may be at risk” in the Northwest Territories. Long-stalked basal leaves are heart to kidney-shaped, with 7-9 shallow toothed lobes, and hairy undersides. Several leafless, hairy stems grow 15-70 cm tall from the basal leaves, topped by spike-like flower clusters. Each flower has five inconspicuous, spoon-shaped petals, five stamens with orange anthers, and a 5-lobed, hairy, bell-shaped calyx. 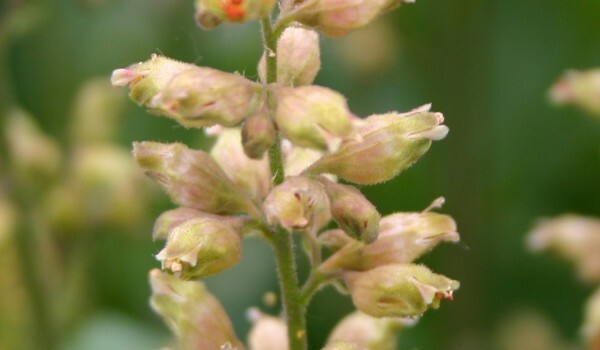 Fruits are capsules containing numerous small, spiny, brown seeds that are dispersed by the wind. Seeds and/or plants are often available from greenhouses and seed supply companies specializing in native plants. 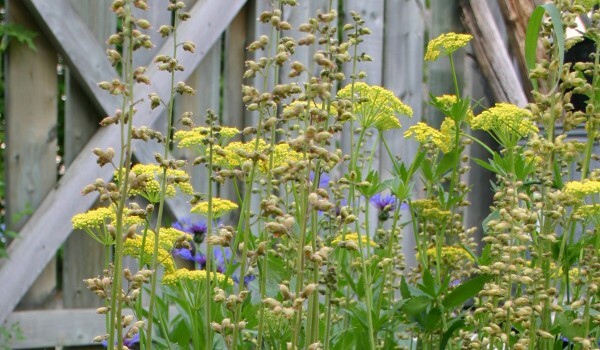 They make a good addition to butterfly, bird and prairie gardens.